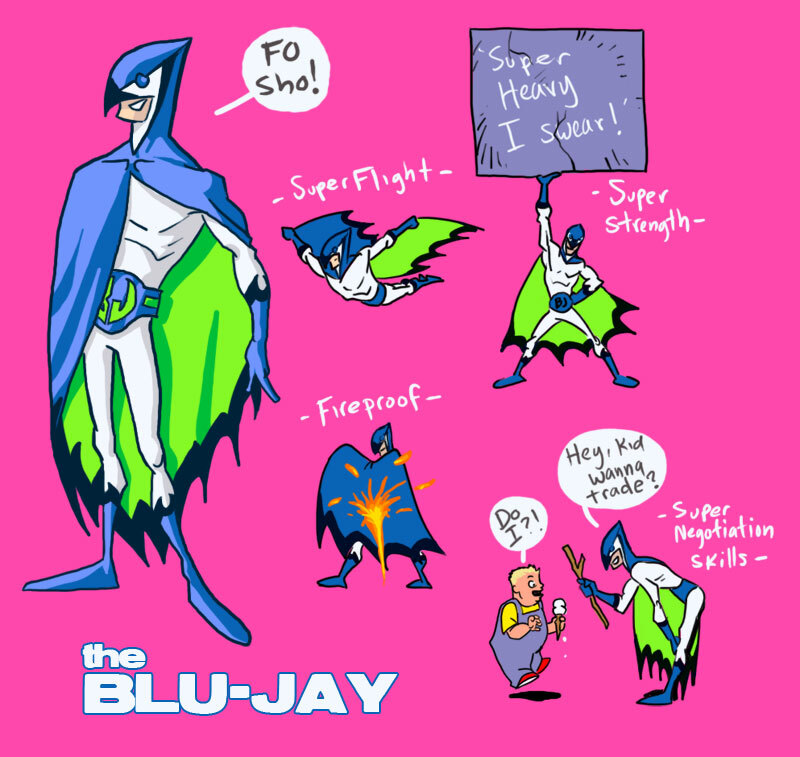 BlueJay migrated to Void from Megaville, a superhero dominated city about 300 miles from Void. He didn't feel he stood out enough or made enough of difference when nobody needed saving and villains were a dying breed. So he came to Void after he heard of the surplus of demons, thugs and ill-minded folk that resided there. But upon arriving to Void he took on a whole other persona and got arrogant when he seen there wasn't too much competition in the superhero department. Now he's not so interested in helping the weak and obliterating the baddies (unlike Sol) as he isn in showboating and using his powers to for his gain (fortune and fame) and what better opportunity to achieve that than with the SDT? He's never killed anyone before, but its an action he's longed to experience since it isn't allowed in Megaville.